← Kingsport: There’s an App for That! 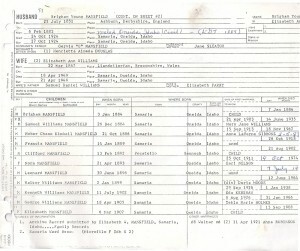 These days, people stick to an 8 1/2 x 11 format, but that is not what’s tricky about my grandma’s recordkeeping. The unfortunate thing about this book is it is a great example of what NOT to do. She glued documents onto the pages, she wrote across the fronts of photographs, and she glued pictures on the back of charts. I have my work cut out for me. is glued to the back of this chart. The records on the chart I am entering into my software. Without the help of a conservator, I cannot remove the photographs without tearing them, so I have decided to scan the whole sheet and separate them individually. Because the pictures were originally written on the back, my grandma wrote on the fronts once she glued them down. The better option is to write the caption next to a photo that is mounted only with photo corners onto archival safe paper. The names can be removed digitally using PhotoShop, but let me tell you, it is not fun. This photograph was glued to the inside back cover. I removed it with a microspatula. The above photograph was deteriorating so badly, it had to be separated from the acidic paper and glue before it was completely illegible. Following is an example of my process. Using XnView, I rotate the page to straighten a photograph. Then I crop a straightened image and save it as an individual file. 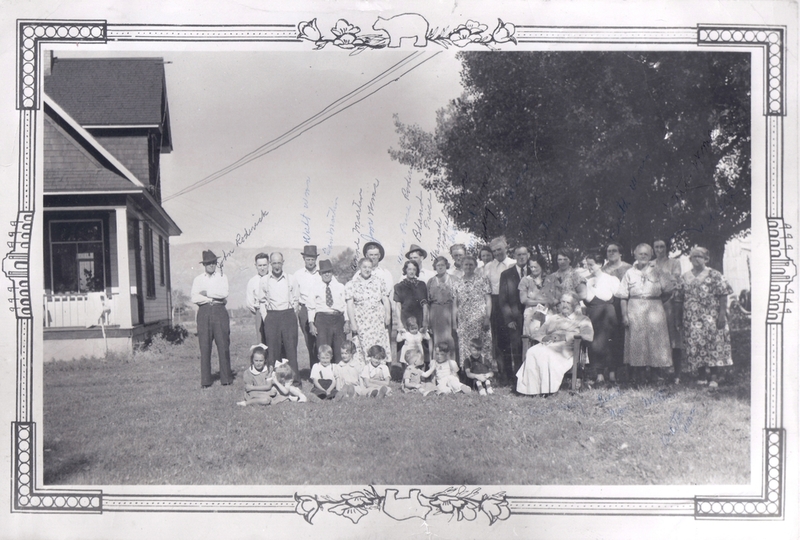 My great-grandmother, Elizabeth Ann Williams Mansfield, is in the center of this photograph. She was born in Llanderorfan, Breconshire, Wales in 1867. She married Brigham Y. Mansfield in 1883 and settled in Samaria, Oneida, Idaho, giving birth to 13 children. She died in 1949, when my mother was only 13. 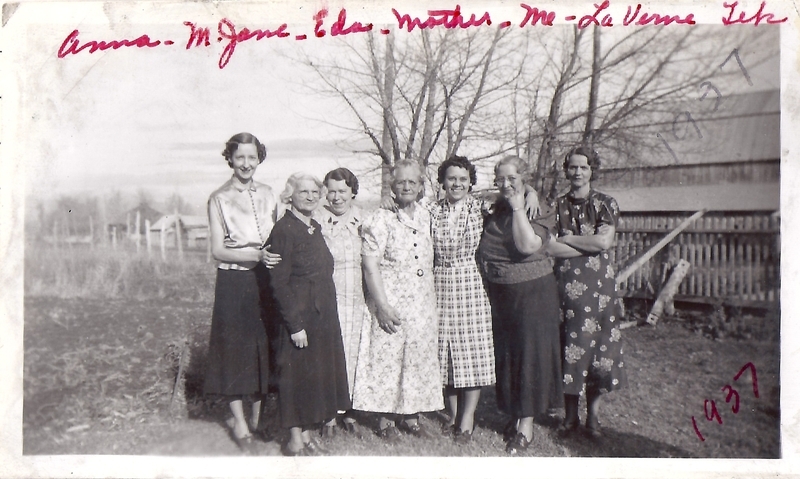 My grandmother is third from the right. She was an amazingly talented woman and learned much of her resourcefulness from her mother. In her long life, she got to know her 6 grandchildren and all 10 of her great-grandchildren. Well, I better get busy. 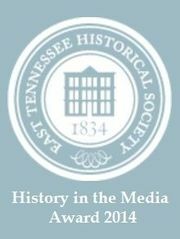 If you would like to see some of my efforts at family history, take a look at my personal website, here. 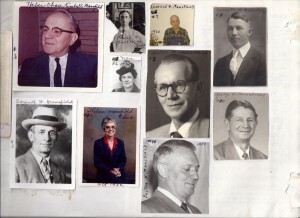 This entry was posted in Genealogy and tagged genealogy, Mansfield, Williams. Bookmark the permalink. 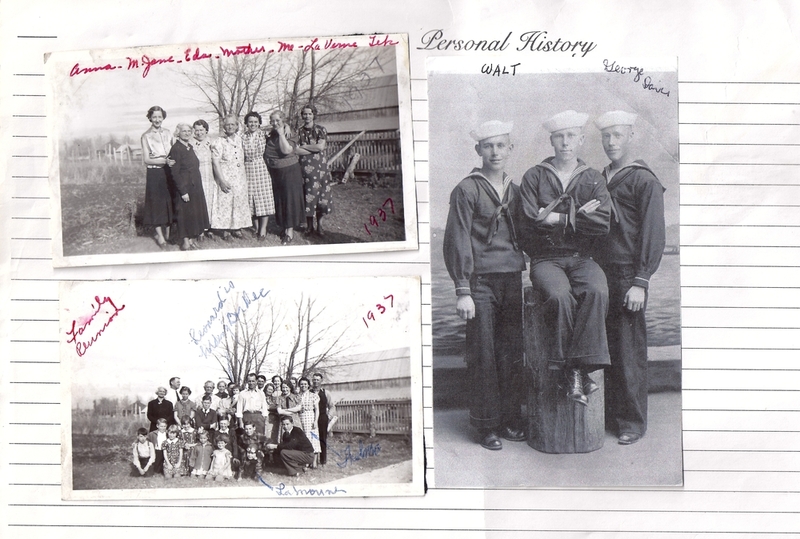 I was so happy to see these pictures of my grandfather Samuel Williams Mansfield, his siblings and family. Thanks, Cherie. 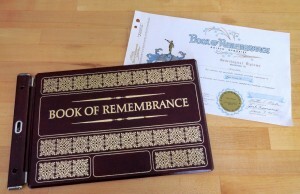 I hope you will be willing to discuss our shared genealogy further. 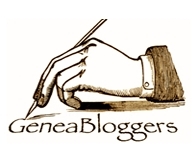 blog@archives.roueche.org Or, perhaps you wouldn’t mind if I contacted you. This is such important work. You’ve heard this before, but I hope to get to do some of this type of work in the future. Thanks for the lessons you share from your experiences. Can’t wait to see how everything comes out on this project. I think your grandma was a great lady and recognized her immediately in a couple of pictures.